Although the bulge is reportedly becoming more common in Japan, local clothing industry seems to be asleep. Although life in Okinawa has been pretty convenient, there is one experience that has become a bit of an annoyance over the years, and that is trying to find clothing or shoes for a North American XL man that actually fits and have a thread of style. This is a problem that not only exists in Okinawa, but rather, the entire country of Japan. It is an experience shared by many an expat who have found themselves living in Asia. If you haven’t experienced this yourself, it is surely that at least one of your friends or loved ones have. It starts with a ‘quick’ shopping trip. You find a very cool tee shirt. It’s quite original looking and even sports a cool Japanese design on it that no one from North America has ever seen. So you try and it on, and it doesn’t fit. 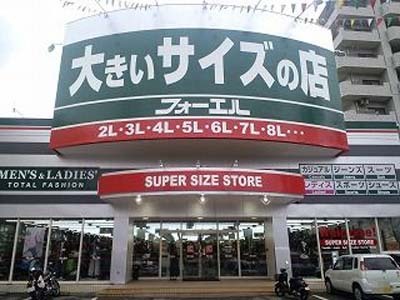 Frantically, you search through the entire rack for the largest-size shirt that they have and although they carry shirts marked ‘L’ which means ‘large’, it is obviously a Japanese size large, not a North American size large. As you squeeze the stretchy cotton T marked size ‘L’ or ‘large’ over your head and bust your arms through the sleeve-holes, you think maybe, just maybe this will work until you feel that cool breeze around your midriff. Peering down towards your belly button you realize that it is exposed and that the stretched fabric constricting your ability to breath, is barely cutting it as a throwback to a 1980’s belly shirt. This store on Highway 58 across from Lester specializes in large-size clothing but their selection tends to be rather plain and conservative in style. I encounter this sort of situation every time I shop at American Village or The Outlet Mall in the southern shopping area. Nothing in these ‘American’ stores is sized for a 6’3 North American giant. If you are my size and are having trouble finding clothes that fit, this article should be the secret code to unlocking access to a few spots where you can find a T-shirt that is labeled ‘XL’ and it really is ‘extra large,’ not the typical ‘XL’ labeled shirt that fits like a medium baby t-shirt. The best place to look for clothes that have some style and actually follow American sizing is the New Rycom Mall. Buyer beware though that most items are American sized, but not all. You will find a few good shops at this mall that carry American sizes, the best being the American Eagle store. The fashion is pretty standard and wearable and the prices are fair. In most of the other stores at the Rycom Mall, there are some good finds and fits but patience is required as it is a bit like an Easter Egg Hunt. 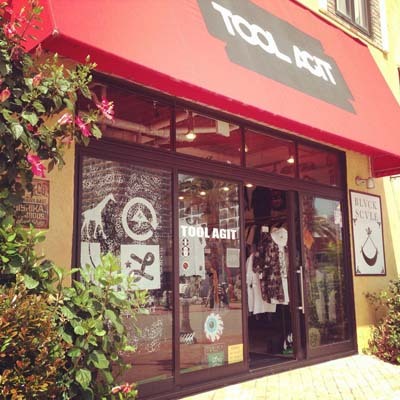 Tool Agit in American Village has plenty of large clothes by the LRG brand, but some of them are clearly meant for folks in under 30 age category. Another favorite shop where I have found funky t-shirts that fit is a small shop in American Village, across the street from the Vessel Hotel. Here they sell clothes by the brand name LRG, hence the brand name, the clothes fit big. One downfall is that, unless you are a hip-hop fan, some of the clothes are not intended for wearing by those of us who are approaching 40 years range of age. Another store that my wife drags me to but I have yet to make ‘large’ purchases at is the ‘Big and Tall Store’ along 58. This place has every version of large size you can dream of, from XL to XXXXL. This store serves the purpose of fitting extremely ‘big’ and ‘tall’ people, hence the name. Unfortunately the style of the clothing here is quite plain and conservative. What they do have is great formal attire that can be used for weddings or job interviews. This is where I purchased my formal suit seven years ago. It continues to hang still in my closet, collecting dust of the years that pass. If there ever is another formal event that requires a suit, there is no need for another shopping trip, thanks to the Big and Tall Store. One lucky piece of DNA that I’ve been blessed with considering I am now living in Japan, is small feet and you know what they say about guys with small feet… they are really smart. My shoe size is size 10.5 US and in Japan, where they measure shoe size by centimeters that translates to men’s 28.5cm. This size sits at the very max of the shoe size range in Japan so I feel that I am very lucky when I do find a pair of shoes in my size. I have no advice for anyone searching for shoes who are larger than 10.5 US size except that you might have to order online or trust a friend to send you a pair from back home. Either way, when you find a pair that fits, buy two pairs if available. It’s not our fault that we are big. Often we have the ‘big and tall’ genes and happen to be born this way. I often wonder what other factors may have attributed to our excessive growth. Was it all of the McDonald’s Big Macs we ate as kids or the Cinnamon Toast Crunch Cereal eaten while fixating on Saturday morning cartoons or was it all of the extra spaghetti noodles and pizza carbs consumed to tame the never ending hunger of a teenager? In any regard, we have grown to a size that makes shopping in Japan an adventure that is not for those faint of heart. It is my hope that this wee bit of advice helps you on your journey to find that shirt that fits you to perfection or inspires you to open a contemporary American size store with accurate sizing for those of us who are living large in Japan.